So tonight I installed 2 of the Club Crown Stripes on my 2 drivers. A key thing to pay attention to is the colors on the stripes. Having never actually seen them except via their website it wasn'entirely clear how much of the background color you would have from the stripe. 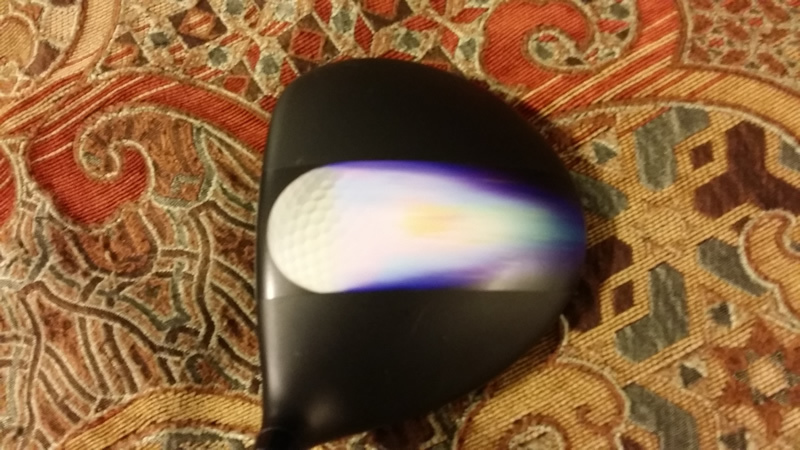 Example: The flaming golf ball you see on the Ping would probably look hideous on any non-BLACK finish driver because the background is black. I didn't know if what you got was a clear background with just the colors of the image (the ball for example) or what. So if you start to buy one, consider the color of your driver when you chose one. So installation was pretty straight forward. Took about 4 minutes to watch the video and then use the practice one you get with your real one - which is a nice feature. you can keep practicing until you get it right. But other than just needing hands to hold the club so you can get to a good angle to install it, it was pretty easy. I think the larger full driver face ones that they install are probably nicer. These seem a good thick quality but to me they show up a little too much that it's not the original driver finish. I think if you had the whole driver head covered, it would look better but for $4 this was fine. 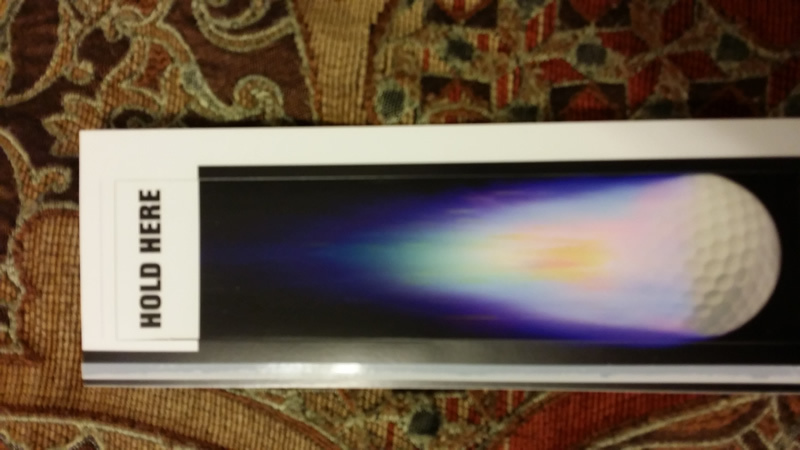 I definitely suggest looking around Amazon before you buy. I saved a ton. All and all, easy to do, if you can save some $ on the stripe, it's the kind of thing that will be fun for a while, then go get another one. I think they look pretty nice, but I can see what you mean about the full sixe ones looking better without the difference between where the stripe is and where it ends. But as you said, for $4.00 it's hard to complain too much. One thing I really want to learn is HOW you posted the photos. Next time you get a chance could you do a post on adding photos to a post? That would be most appreciated. So I don't have an easy way of posting photos here in the posts. The system doesn't have a good upload feature. So what I did there was to put them elsewhere, on a server i have, and then I can point to them. I'll see if I can figure out an easier way. Check the Site Announcements forum...I put a post there on how to upload images in your posts. I notice that when you START a NEW topic there is a way to ADD a photo right near the bottom of the screen. Woud you ba able to add this BOX to the menu when we post a reply? If you can do that , it would eliminate all the issues with posting a photo. I've added a phote to my postes in the Hot Off The Presses postings when I added the topic and it was EASY to do. Just copy the photo to my computer and upload it the this site. What do you think if this idea?? Unfortunately not Don. That's what I was trying but don't seem to be able to do that without some serious code modifications. So for now I've gotten the editor idea to work and at least with that, you can control WHERE you put the image within the text. So we'll see how that works and I'll keep thinking about options. That's too bad, but at least I came up with an idea. Better than nothing I'd say. I'll try to follow your instructions and see how it goes. Wound up pulling the strip off my black Ping driver as it just looked crappy to me. The finish on the driver just didn't match that of the strip so i pulled it. Still have one on the Cobra so it'll hide the scuffs on the crown of the club but I may consider other options. Honestly, I didn't see a full skin cover I really wanted to pay $50 for....so I may look at other options. Or just live with it. You could always paint it to cover up the scutt marks. I did that to a White driver I had. I painted it Bright Red. Came out pretty nice if I do say so myself. If there is a CHIP in the original paint, you would want to fill it in before you re-paint the head. Otherwise the chip will show thru the new paint. I have a few more heads I want to paint, but I'm going to wait until it gets warm out again, so the paint will dry faster to prevent dust particles landing on the painted head before it dries. What sort of paint do you use Don? I'm not much of a painter honestly, so I don't want it to look like the pole of the basketball goal I painted ! ha!!! A good quality enamel is what I would recommend. 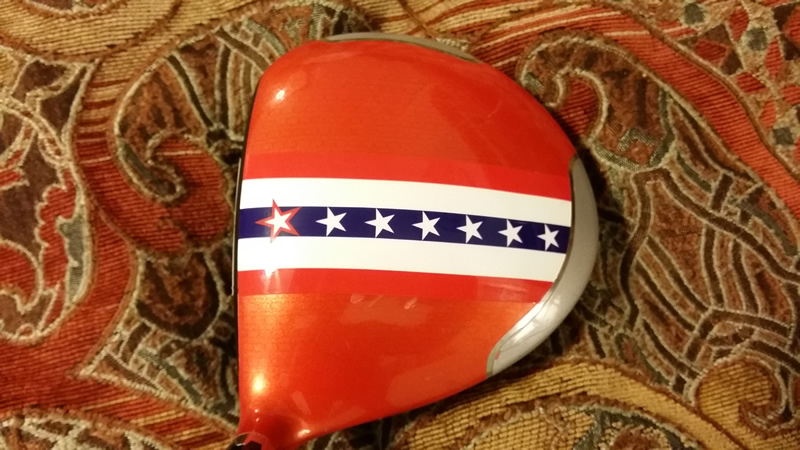 I used Rustoleum on the driver I painted and it turned out very well. I would recommend picking up a good spray gun if you have a compressor. Harbeo Freight is where I got mine, and it works great. If you want, I can find the model # for you. It was very reasonable price. Around $12 if I remember right. They have the model I got on sale a lot, so you might find it for less then $10 if you're lucky. It's a 20 ounce gravity feed sprayer and it's very easy to use. There are a few review videos on the sprayer on U-tube that are worth watching. One video tells how to make the sprayer even better than how it comes. Simple tricks to improve how it works and for less than $2 in parts. Mine worked great right out of the box, so I got second one for a project that I have in mine that will need two sprayer at the same time. White automotive primer works great for a base coat if you need to cover a dark color paint, like most drivers are today. Interesting. Well I will keep that in mind Don. Appreciate the information. The sprayer I got at Harbor Freight is Item # 47016. It's an excellent spray gun and I would highly recommend it to anyone with an air compressor. There are a few videos on u-Tube about it. IF you get one, be sure to follow the tips on how to make it perform better, by cleaning out the sealant the used to assemble the parts. VERY easy to do this and well worth the 10 or 15 menutes it takes to do it. You might be able to find it on sale for around $10 so the price is right for the quality of the paint job you can get with it. Regular price is around $30 if I remember right. Nice thing about painting the head is that you can pick ANY color you like, so you're not forced to play with a black driver is you don't want to. I uses RED enamel on the driver I did, but you can use any color you like. Or get fancy and get wild with the paint job if you want.